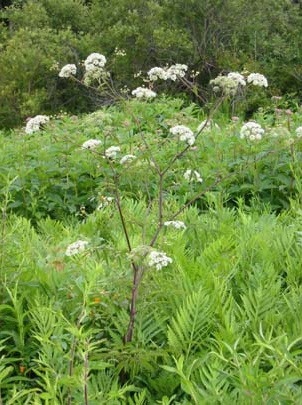 This evening there was a report that water hemlock, an extremely poisonous plant, may have been spotted in the twin beaches area. 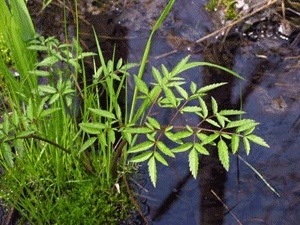 Water Hemlock is one of the most poisonous plants in North America, and cause death upon handling or digestion. While we do NOT have any confirmation that it has been spotted at Delta, because of its toxic effects from handling or ingestion, this is information is being shared as a precautionary measure. Handling it can cause severe reactions, including death. This entry was posted in General Posts Unrelated to Flood and tagged Warning health hazard. Bookmark the permalink. 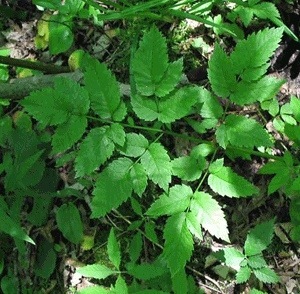 After reading your notice on the Water Hemlock plant, I remembered that I had seen what looked like a similar plant at Delta. I checked it out again yesterday. It is located along the north side of Hackberry near the road, along a wooded stretch just west of the eastern edge of the Public Beach area (pedestrian gate). It might be worth having this checked out by someone who knows this stuff. This plant looks similar to flowering species commonly seen on the south side of Hackberry Ave. But how would we know if it is actually poison hemlock since there are so many related plants? Good question. Does anyone know an answer to this question? Susan, I’ve sent an inquiry into the RM to see if they have any ideas. Great news. Daryl Hrehirchuk, Chief Administrative Officer of the RM, has indicated someone is going have a look. 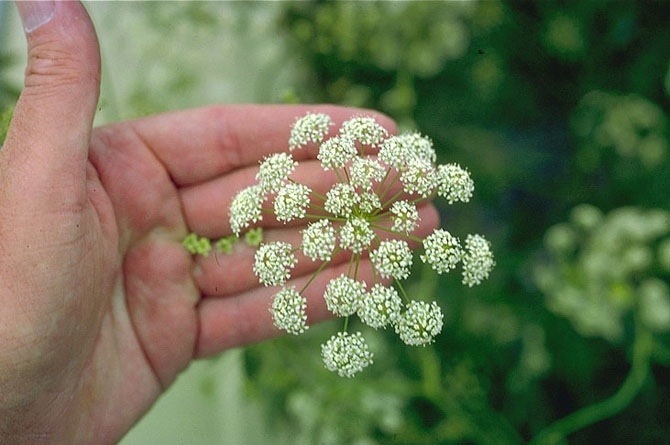 people to mistake the water hemlock with plants called cow parsnip and water parsnip as they look very similar. I have asked an individual to inspect the Delta area and report back to me with the findings. Thanks Scott. Look forward to hearing more.